I generally am a rock oriented person, but I love, have and always will love, Rihanna. 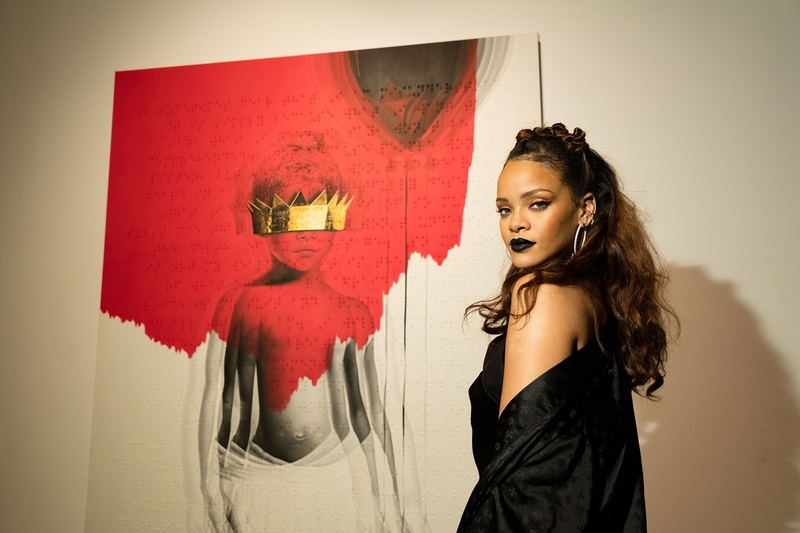 Her latest album, ANTI, which dropped the last Friday of January, is just resonating proof that she is my girl. For starters, I was anticipating this album as soon as I heard she was covering Tame Impala’s “New Person, Same Old Mistakes” off the album Currents, which was released last year. She titled her version “Same Ol’ Mistakes” and killed it. It was odd for me to hear her doing something psychedelic, but it was amazing. I listened to that song first and then went in to listen to the album all the way through. The first song, “Consideration” features SZA. It starts with Rihanna’s signature voice, but you can immediately note the tone of this album would be different from anything she has ever done in the best possible way. The album released previous to ANTI was Unapologetic. That was her usual style of upbeat and most of the songs became popular club songs. I would never choose that album to study to. I would listen to it to get pumped up while I’m getting ready to go out on a weekend. ANTI however, is going to be my new study album. It is so chill and dreamy with a great R&B tone. “Work” featuring Drake is more reminiscent of her older work. “Desperado,” “Woo,” and “Needed Me” also possess more of the Rihanna sound, but with a strong, what I would call, techno influence to them. Then towards the end of the album it winds down. “Never Ending” has a folk-y hint to it. “Higher” and “Close To You” are the last two songs on the album and were great closers. They are both slower tunes, with minimal instruments, highlighting her spectacular voice. I have never truly appreciated how phenomenal of a singer she is.